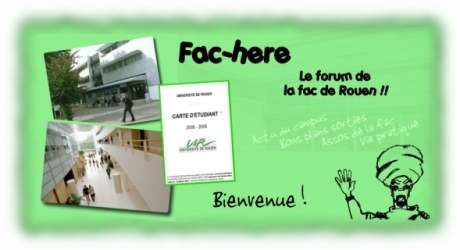 All questions in english are here, about registration in University of Rouen, Rouen Business School, INSA Rouen... and life in Rouen, Mont-Saint-Aignan, Saint Etienne Du Rouvray, Evreux, Elbeuf ! CROUS a écrit: CROUS, Centre Régional des OEuvres Universitaires et Scolaires (the Regional Centre for Student Services) is a public organization established in 1955. Our mission consists in improving the student’s life and facilitating equal opportunities to succeed in higher education. Nowadays, in Upper Normandy, 13 000 students get scholarships according to social criteria and 300 foreign students get a scholarship managed by CROUS, 5000 live in our hall of residences and all students can eat out in different campuses. CROUS helps the students in their everyday life, for example the host, housing at families homes, temporary jobs, social assistance, cultural activities, accompaniment of foreign students of the French government.